Martha is right. For the sake of those reading topics now or later, it can be a bit distracting to have discussions running in multiple directions at once and information scattered all over the place. In a perfect world all discussions would remain rigidly (and potentially boringly) on-topic, but we know that's never going to happen - especially with cavers. If we catch a discussion running astray early enough, we often will split it into separate topics. But that's a fair amount of work, and the result can be quite disjointed. Ideally the original poster and/or those who reply would say something like "blah blah blah, and incidentally this reminds me of blah-blah so I will start a new topic here" (with link). But of course we don't live in an ideal world, and the moderators can't always be cleaning up after everybody. Many of us regular forum members (and moderators) read virtually anything and everything posted in all sections of the forum. But there are others who deliberately ignore sub-forums which are unimportant to them, and only read relatively few of the many subjects of discussion. I suspect Bob falls into this category, and decided to express his frustration about this photo/video forum topic which has turned into a contentious discussion about unrelated carbide allergies. Off topic alert !!! !I just do not understand "the Crime " here. 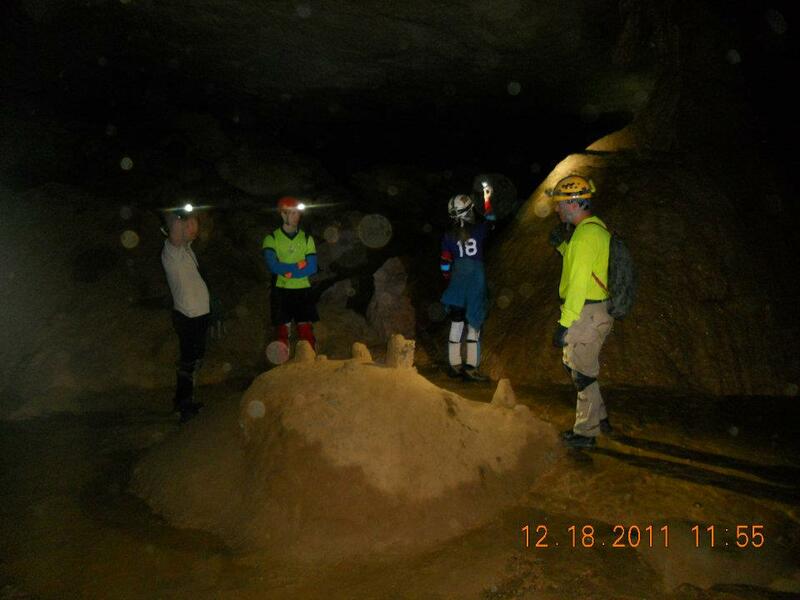 As long as the subject matter stays caving related like carbide, cave photography ,issues with allergies when caving ect. I can see the need for moderators to try to keep any personal insults somewhat civil. Also to watch for foul language or to keep anyone from posting specifics of cave locations also to keep someone from posting something about a practice that is considered dangerous. In this particular case the original poster is the one who committed the capitol crime of turning her TAG photos into a discussion about carbide allergies and other physical issues when caving. As far as Bobs issue about "bashing" , I did not see it. Amy brought up personal issues that seems to hamper her ability to exit a cave safely and others commented that maybe caving was not in her best interest. From my vantage point it looks like more people were interested in discussing the carbide issues and trying to make sure Amy does not get into a situation that could require a rescue than the photos. Give the people what they want. Another off topic alert !!! !It is not my intention to "bash" moderators . I am sure it is a thankless job. We could not enjoy this forum we have without the moderators. I thank all of them. It's usually not funny to see a thread derailed, but in this instance, the thread was derailed in the first post by the poster. Not sure if I've ever seen someone derail their own thread before. Here is a tip. If you want to have a thread about your photos, then post your photos. If you want to talk about something else, put it in another thread. If you post a topic with twenty more topics within, it is going to get away from you quickly. Wow! Nice pictures. That reminds me of a trip to TR about the same time. I was leading a grotto trip to see the Xmas tree. We jumped right into the cave but were immediately held up by a group who wouldn't let us pass them next to the saltpeter vats. They were doing some "talk" about the history and got a little uppity when we crashed it. Camo pants "there are members of our group getting headaches because of your carbide"
Camo pants "Just get your friend to turn his light off"
Me "Headaches? Carbide doesn't cause headaches. Are they dehydrated? These rooms are huge. Do you know how much air is in here? Camo pants "Well, if a carbide lamp isn't running right it will cause headaches"
Me "It's running perfect. Fresh crisp carbide and a white hot flame. He just bought this carbide"
Me "Look, do you know how it works? You can't turn it off. If you cut the flame it'll just pore out pure acetylene. Now, that might cause headaches. Camo pants "Well can we just get ahead of you?" Me "We're just going to pass you in another 5 minutes"
Camo pants ..walking away.."Well, just shut it off"
Me ..Under my breath "Just shut your pie hole. You're giving me a headache"
Anyway, it was the weirdest thing. I didn't bring my own carbide light that day but regretted it. Being a carbide caver myself for more than 19 years and using it front of hundreds of people. I had never heard such nonsense. Interesting story. The details seem somehow familiar. Sounds like Amy is living in Huntsville now, so this scene is bound to be repeated over and over. There are approximately 1600 NSS cavers living in TAG, many more who aren't NSS members and dozens of out-of-state cavers visiting the area each weekend... it's the wrong place to be if you can't handle sharing a cave with other people! Regarding Jeff's post, that's an interesting note about one group not letting the other pass in a portion of the cave that certainly has enough room for the faster party to play through. What's up with that? I don't think I've ever heard of that either. I wish we had these problems in MIssouri. YOu just dont run into other groups here. Welcome to Cavechat. I look forward to hearing some more interesting expereinces from the Birmingham Grotto.